Eight months of weekly vlogs, and counting! 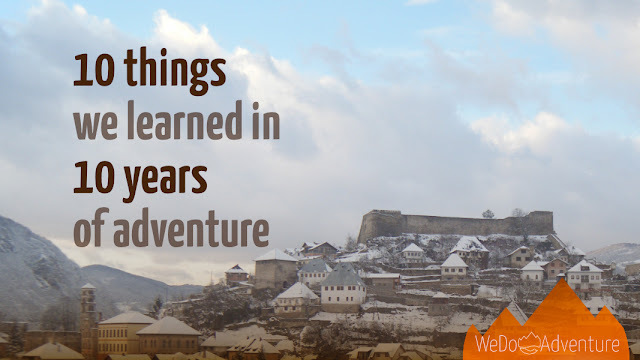 Our banner image used to proudly declare "blogging from Bosnia and Herzegovina since 2008". These days that would be a false claim. We have been in Bosnia and Herzegovina since 2008, all the time working as volunteer youth workers with Novi Most, but the blogs stopped a few years back. After what was an undoubtedly inadvisable absence online we started a weekly vlog back in July last year. Over the last eight months these have highlighted different aspects of our work, as well as giving a glimpse into the travels that accompany it. They are all neatly arranged in this playlist below. We hope you enjoy them. You'll find a new video every Sunday on our YouTube channel.